New at College Station Ford is the seven passenger 2019 Ford Flex. 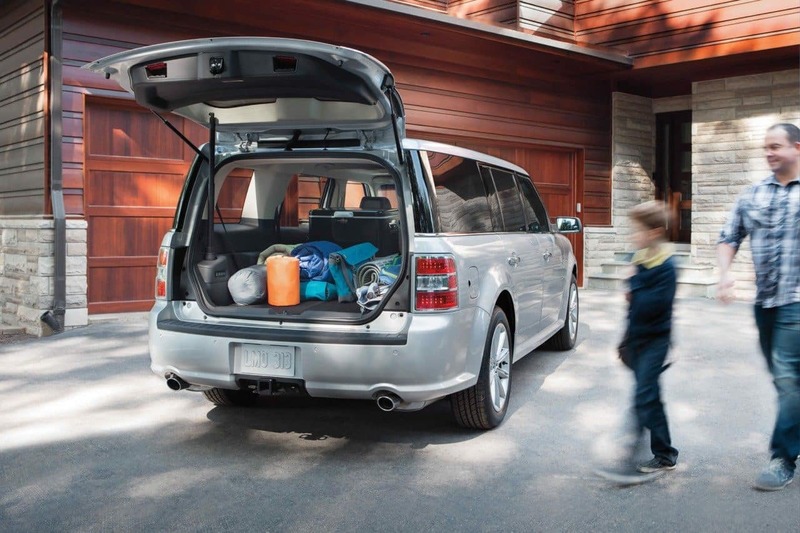 The Ford Flex is a versatile modern SUV with a lot power. Flex is loaded with a muscular 287 horsepower 3.5L TI-VCT V6 engine that’s dynamic on the road. In our review of the Flex, we found its precise handling and responsive acceleration to be incredibly fun to drive. 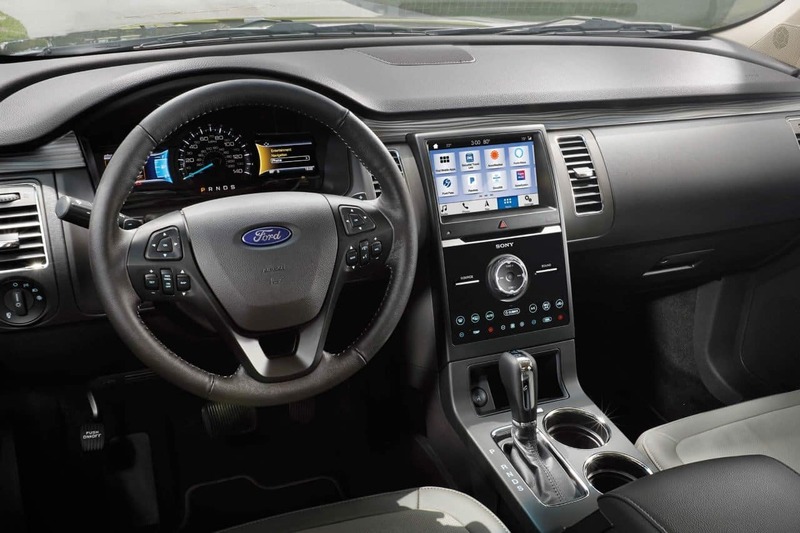 Ford designed Flex to be a sportier ride, and the standard six speed automatic transmission with shifter button even allows the driver to override the transmission to experience the excitement of a manual ride. Flex’s exterior is distinctive and full of personality. The exterior has an unique geometric body paneling gives flex a dynamic silhouette that other SUVs don’t have. Redesign your Flex with the available appearance package that adds a contrast black roof, exclusive center grille bar, and high gloss black wheels. Flex also comes in nine different unique colors that stand apart from the crowd. Our favorites are the Magnetic Dark Grey and Burgundy Velvet Deep Red. The available adaptive cruise control with collision warning can also give you peace of mind over the long haul. The Flex has a comfortable and plush cabin interior for your passengers. Besides being very spacious, you’ll find up to ten cup holders inside, depending on the trim you select. The available ambient interior lighting even lets you change its color based on your mood. The Flex’s multipanel vista roof has different skylights and sun panels for every row of seating, so no one will miss the view. When you aren’t taking your crew around town, the second and third rows easily fold down giving you access to up to 83.2 cubic feet of cargo storage area. Take your Flex to the next level with one of three bold trims. First is the Flex SE, which features AdvanceTrac with roll stability control to automatically improve road traction and safety as well as the MyKey programmable multiple driver system. MyKey is perfect if you’ll be loaning your Flex to a new driver because it can restrict the vehicle’s top speed, set an upper limit to the audio system’s volume, and more. The Flex SEL model shows off effortless push button start, dual zone cabin climate control, and the voice-enabled smartphone-compatible Sync 3 touchscreen system. Last up is the Limited variation that includes park assist technology, a hands free rear liftgate, and the exceptionally efficient 3.5L Ecoboost engine. 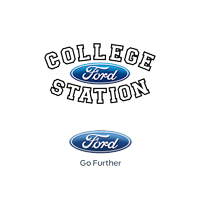 College Station Ford is a leader in automotive sales excellence, serving the communities of Bryan, Navasota, Hearne, Huntsville, and beyond. We offer a wide variety of low mileage used and new vehicles and can create a custom payment plan that works for your life. If you think the Flex might be the right choice for your family, take the next step on your car search with a convenient test drive. Our friendly and low pressure associates would be delighted to answer all your questions about the Flex. The 2019 Ford Flex is for sale now at College Station Ford starting at just $30,575.